Here is our first look at the tournament results! Here is our agenda for our meeting on January 27th at the KC out by the marina. The meeting will begin at 1:00. Please bring a covered dish to share. We will eat immediately after the meeting. Thanks! Additionally, our spring tournament applications are up on the website! Click on this link to access them. All of our fall tournament results are in! Thank you for a great season of fishing! 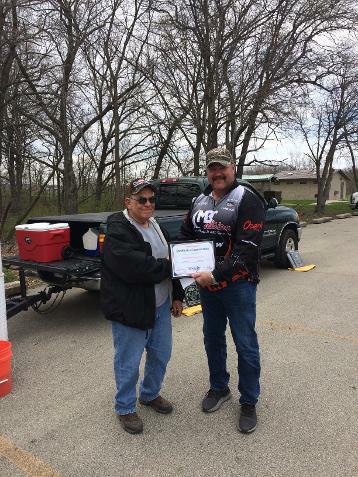 Brian Cuffle accepts award on behalf of the Springfield Crappie Club for their support on the Cube Project on Shelbyville Lake from Chips Marina. Thanks to all who came out to fish at our 2nd Annual Shelbyville Cappie Bash. We hope to see everyone next year! 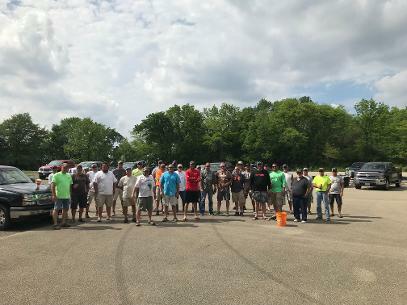 Welcome to the Springfield Crappie Club. The club was formed in 1978. Please check out our Sponsors page. You can click on the image and you will directed to their website, if available. You can also obtain information on how to become a sponsor of our club. If you are interested in becoming a member you can download a new member application by clicking NEW MEMBER APPLICATIONS. The cost to join the club is $25 per person per year.